At Designer Kitchens, we believe that a successful kitchen is more than the look of the kitchen. The ergonomic design of the handleless kitchens has become popular within the kitchen industry. This sleek design allows a simple push to open the kitchen unit. This feature is a typical attribute of the German Kitchen, and creates a contemporary feel to your kitchen. The handleless kitchens in our colorful portfolio can give your home a touch of seamlessly combined contemporary elegance and classy modernity. The luxurious matt kitchen designs in our selections are equipped with impressive handleless kitchen cabinets and appliances, which can give your kitchen a sleek and stylish look. Check out our handleless gloss kitchen collection today, which is available in a wide variety of color themes, and learn why many of our happy customers are fully satisfied with our beautiful contemporary handleless kitchens. Another all-time favorite of our many customers in and around London is our huge selection of German handleless kitchens. The push to open kitchen cabinets and appliances that are equipped into our stylish German kitchens can give your kitchen a neat and organized feel. 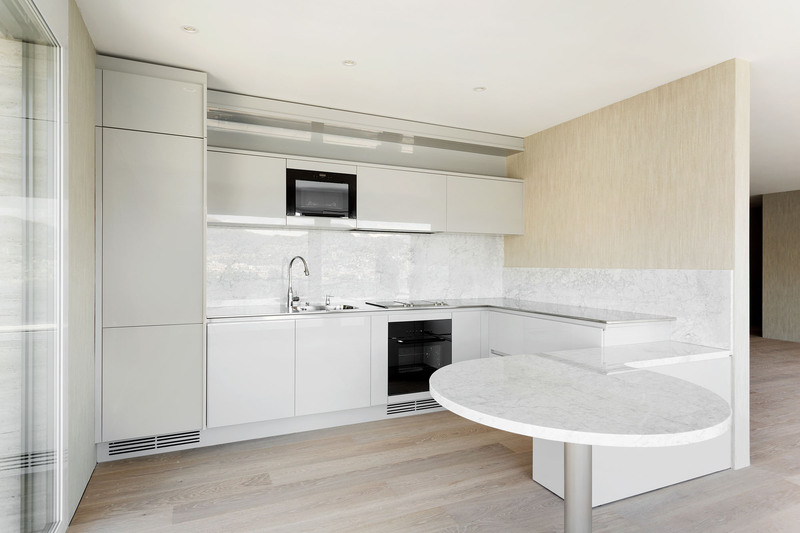 Aside from this, our handleless kitchens can even reduce difficult cleaning and maintenance work on your part, because having a kitchen without handles also means fewer areas for dirt and grime to cling unto. Our portfolio is neatly organized, allowing you to spend just a few minutes of your valuable time finding the perfect handleless kitchen for your home. Gloss and matt options are available in many colors, giving new meaning to your idea of a sleek and stylish kitchen for your home. Call us today on 01707 650 565, and also learn more about our custom handleless kitchen design services! View our handleless kitchens options below.